Cisco announced another acquisition Tuesday morning. It’s picking up CloudLock, a Waltham, Mass. 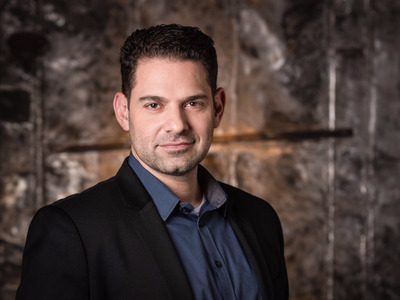 company with Israeli roots, for $$293 million in cash and assumed equity awards, plus additional retention-based incentives for CloudLock employees who join Cisco, it says. The company has about 145 employees, it says. CloudLock was founded in 2007 by three Israelis Gil Zimmermann, Ron Zalkind and Tsahy Shapsa, and had raised about $35 million from backers like Bessemer Venture Partners, Salesforce’s venture funds and Boston-based Ascent Venture Partners. CloudLock makes technology that allows companies to watch the security of their apps in the cloud, ensure employees aren’t sharing sensitive data even with cloud apps that are not built or managed by IT. For instance, it can watch files shared via Box, Dropbox, Office 365, Slack and Amazon Web Services. It claims 700 customers including HBO, Motorola, the US Army, and NASA. CloudLock fits into Cisco’s portfolio in a couple of ways. Cisco is filling out its security offerings to cover more cloud tech. The company is also moving more heavily into software and trying to get itself into the cloud software subscription world, where its customers pay it for software on monthly and annual subscriptions. The CloudLock team is joining Cisco’s Networking and Security Business Group reporting to general manager David Goeckeler. This is Cisco’s fifth acquisition of 2016.